Cinnamon is a sweet dog with a lot of energy! She is potty trained and crate trained. 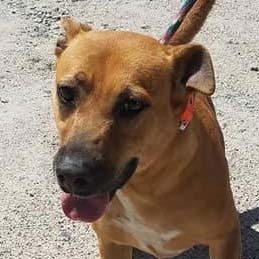 She is a one year old female shepherd mix. She likes other dogs, but her attitude towards cats is unknown.